We like to shop online for everything these days whether it’s books, groceries or even sports equipment. The sheer convenience of browsing through thousands of products without leaving your seat, the ease of getting the purchases delivered to the doorstep, and of course the umpteen payment options, have all made online shopping a part of our daily lives. Fitness and health awareness are a big part of our lives these days and we constantly need equipment and accessories so we can pursue the sports activities of our choice and achieve the fitness goals we set for ourselves. Fortunately for us, if we’re looking for an online sports store, there are so many. One can easily buy sports goods, equipment, accessories, nutritional supplements, and more at the many sports shops that are now online. 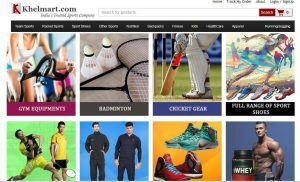 We have put together a selection of some of the best online sports shops in India for your convenience. Browse through these amazing Websites to shop for the sport you love the most. A very well organised website, shopping is easy because you can find the product you’re looking for within a minute at the most. This online store offers free delivery and Cash on Delivery options to its customers. Whether you’re looking for rackets, balls, cycles or shoes, Sports 365 has all of these and much, much more on its website. Find the best brands and a really impressive range of products here, not to mention some great deals in the Clearance Sale section. For those who are looking to improve personal fitness Sports 365 has weights, fitness trackers, home gyms, support accessories and lots more. Pay using any major credit or debit card or avail of the convenience of Cash on Delivery. Returns are easy and you can track your order delivery so you don’t miss it when it arrives. How convenient is that? 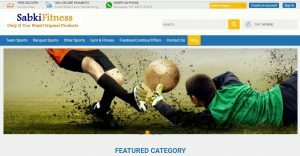 Get Sports365 coupons on GreatBuyz for your Online Shopping. Whether you’re a parent looking for sports gear for their kids or a club official looking to set up a cricket ground 1800 Sports has everything you need. In order to make payments as easy as possible they offer every option from credit/debit cards, online transfers, and even Cash on Delivery. Decathlon is another wonderful online sports shop that offers equipment, clothes and accessories for as many as 50 different sports and activities. Not just cricket and badminton and such common games but you will find stuff for hiking, trekking, athletics, pilates, yoga, and even wildlife exploration! With a presence in more than 26 countries around the world, this is a well-known sports shop across the globe. Payment is easy through net banking, major credit cards and even PayTM. The main claim of this online sports shop is that it sells only original products. Getting genuine and original products is a big concern for online shoppers and Sabki Fitness addresses exactly that. In keeping with the trends of the times, Sabki Fitness has many payment options including Cash on Delivery. 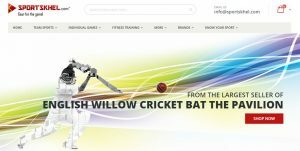 Check out SportsKhel.com for sports goods from well-known brands from across the world like Wilson, Speedo, and Yonex to name just a few. You will find standard sports gear like rackets, bats, balls, etc., safety gear, clothing, and also indoor games like carrom, chess, etc. They also have a whole range of fitness equipment like dumbells, resistance tubes, and yoga mats for those who want to work out at home. Every product image is accompanied by a good description making shopping much easier. Amazon is the mecca for all online shoppers and you will find a fantastic range of sports goods here. Simply type in the name of the product you’re looking for in the search bar and you will get a huge selection of various brands for that product. One can’t imagine a better sports shop than this, and it’s online! Since Amazon also has mobile apps for IOS and Android you can shop from your phone, no need to wait till you get home or to the office to your laptop. With multiple payment options including credit and debit cards and cash on delivery shopping for sports goods on Amazon is a smooth affair. Flipkart has an astounding range of sports and fitness goods and accessories, and also clothing. 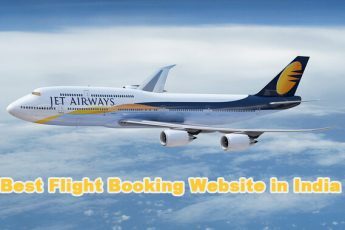 One of the biggest and most trusted online stores in the country, Flipkart is a great choice for buying sports gear online. With all the products classified into convenient categories, you will find the necessities for team sports, exercise and fitness, racquet sports, cycling and lots more. Just log in and look around! If you have the Flipkart app (available on Android and IOS) on your phone you can shop from wherever you are. The very first glance at the Vinex Shop website shows you just how huge is the range of sports and fitness products they have on offer. You also see the combo offers, sales, gift packs and new products available on the site. Scroll down to check out hot deals, and new arrivals in more detail. Shopping at a well organised online shop makes the shopping experience so much better and we really liked how Yogi Sports is laid out. Shop according to a sport, shop by brand, or shop by category be it shoes, backpacks, clothing, or even customised fan t-shirts. With more than 30 categories under Sport with multiple subcategories under each, it’s quite likely that you will find whatever you’re looking for at Yogi Sports. The clothing section is extensive with products specific to sports conveniently categorised so you can find the specific item you’re looking for with absolute ease and minimal navigation on the website. 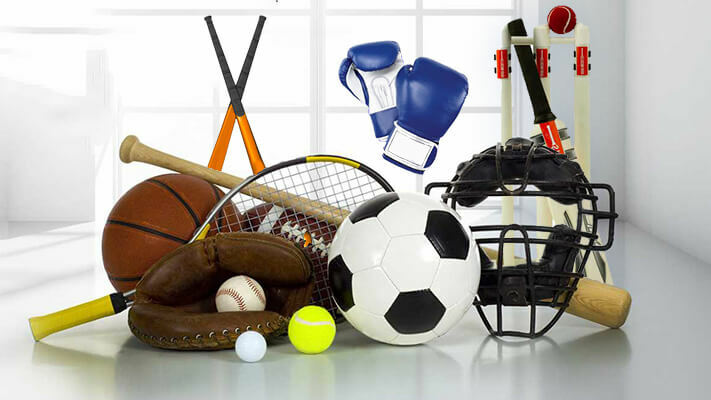 Now that you have the inside information of the top online sports shops in India simply click on the links above and shop for the sports equipment you need, right now!